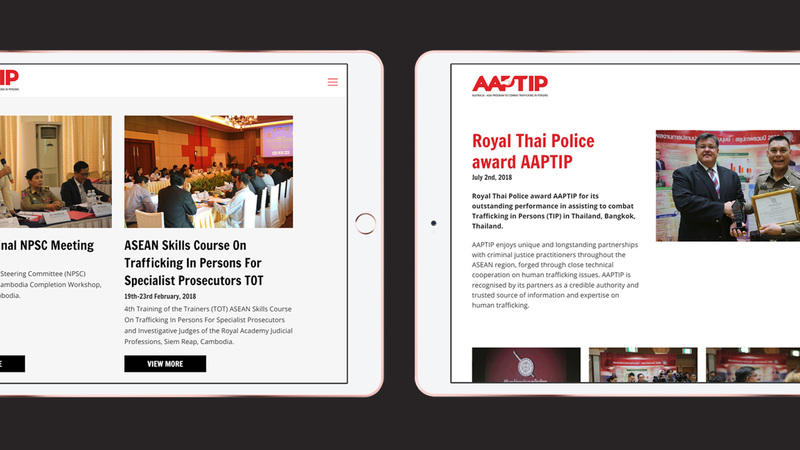 DIGITAL BASE received a request from AAPTIP's Bangkok office to design and develop a new website. The website brief focused on a few specific requirements: a modern, responsive design featuring interactive maps and country specific library and resource center with multiple levels of users. 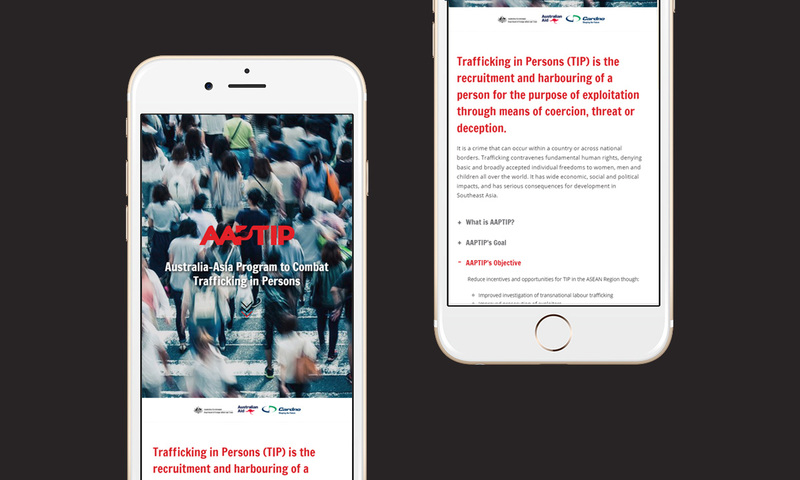 AAPTIP also required an easily recognizable interface that would present important information to non-native English speaking end users in order to open up their resource library to the many ASEAN nations they assist. Following careful direction from the AAPTIP team, DIGITAL BASE created a set of custom icons to represent the AAPTIP projects. As these icons are used in the ASEAN region, care was taken to ensure that each icon was free of gender and cultural bias. These icons are featured on their website and in various AAPTIP print publications. 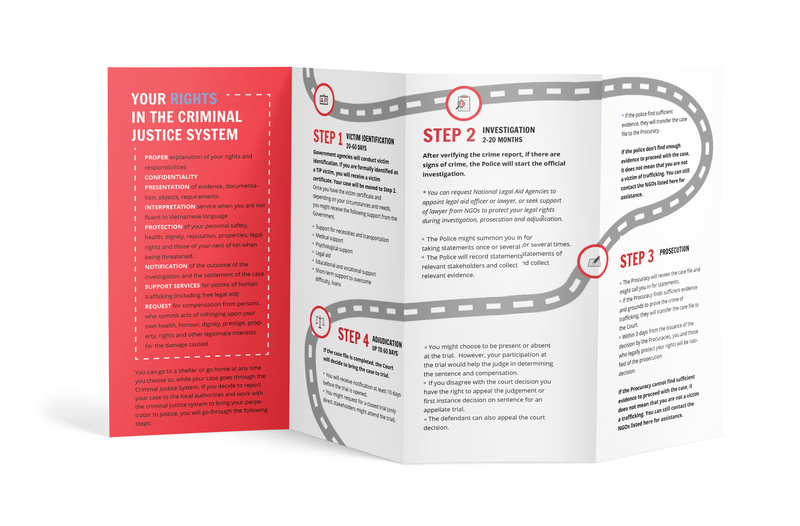 Throughout the last year DIGITAL BASE has also assisted AAPTIP with a number of layout and print design projects including flyer, book and info-graphic design. 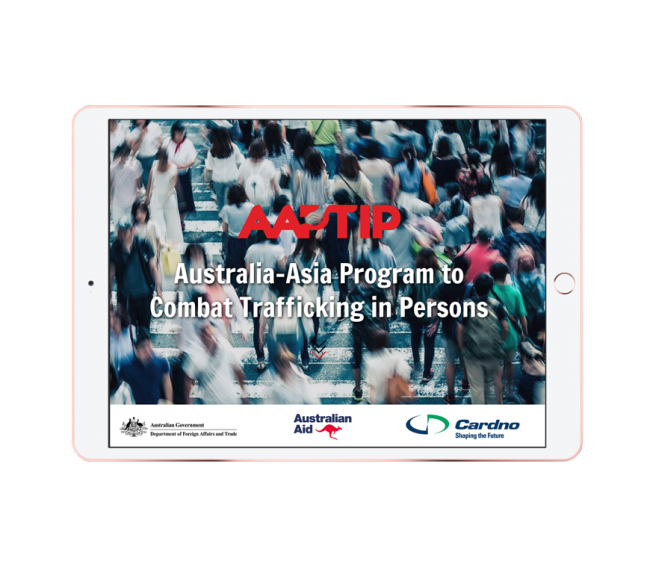 DIGITAL BASE Co., Ltd. recently redesigned and developed the new AAPTIP (Australia-Asia Program to Combat Trafficking in Persons) website and online resources library. From planning to execution, DIGITAL BASE’s professionalism and expertise was seamless. From small design layouts to large web development projects, DIGITAL BASE are solutions based, reliable, innovative and flexible. I would have no hesitation in recommending DIGITAL BASE, they are a pleasure to work with. 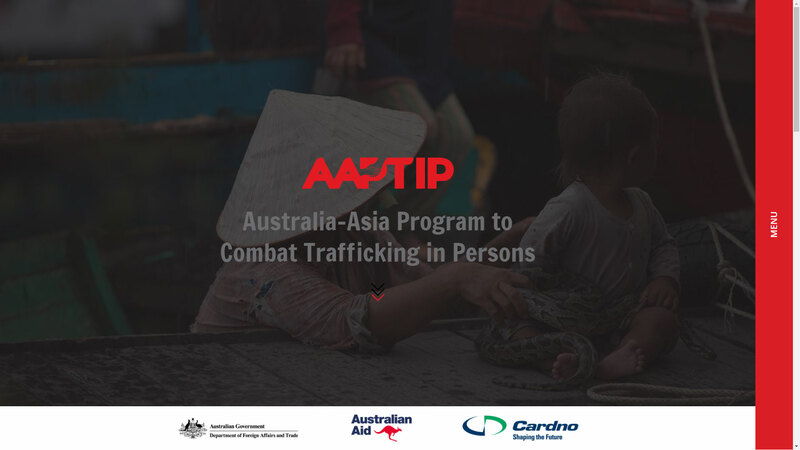 It is a privilege for DIGITAL BASE to have an opportunity to assist AAPTIP in their essential work in the ASEAN region.